Some 700 people participated Monday in a protest that took place at Kiryat HaMemshala (government precinct) in Tel Aviv, demanding the state recognize the "abduction of the children of Yemen, the Middle East and the Balkans." Protestors carried signs slamming Israel for the dark chapter in the nascent stages of the country's history, proclaiming "A land that kidnaps its children", "Kidnappers for the state" and "The child is dead, the tomb is empty." 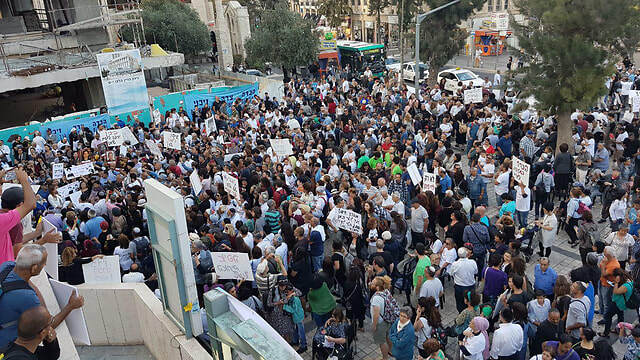 At the conclusion of the demonstration, which was organized by the Amram NGO, protestors marched on the road in Kaplan Street and blocked oncoming traffic having received prior approval from the police. One of the protestors was detained for questioning. Several protestors climbed atop a makeshift stage and read their families' accounts. 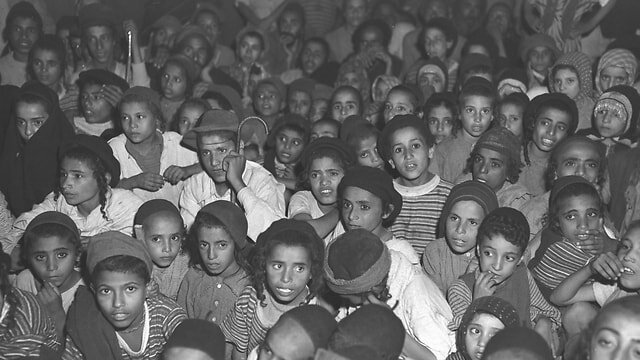 During intermissions between readings protestors called on the government to fully uncover the protocols detailing the fates of the Yemenite children, thus bringing an end to an affair that took place from 1948 to 1954. Chairman of the Opposition MK Yitzhak Herzog (Zionist Union) attended the protest to show solidarity with its cause. "On the eve of Yom Kippur, when everyone is trying to atone for their sins and beg for forgiveness, this is an affair that demands apologies, and deep inquiry. As someone who has suggested reparations for the families, a decision shot down by the government, we should all demand the truth be uncovered for this generation so the wound can finally heal," Herzog declared. MK Nurit Koren (Likud), chairwoman of the special committee to investigate the disappearance of the Yemenite, Middle Eastern and Balkan children, told protestors she was a proud Yemenite who had suffered the tragedies of the affair. "I demanded to uncover the files that are still classified. My mother-in-law lost a sister and two brothers, so I feel your pain and don't want stalling. I'm sorry for the people assembled here not knowing what the committee has been doing, but I invite you to look at its materials, which are available online," she said. Amram Chairman Shlomi Hatuka said holding the protest during the Ten Days of Repentance and just before Yom Kippur was intentional. "The State of Israel must answer to the thousands of Yemenite, Middle Eastern and Balkan families whose children were kidnapped by the Israeli establishment," he said. "As far as we're concerned, the process starts by the state's recognition of the crime and apologizing to the families for the terrible wrong they have suffered. This demand, for immediate recognition and family reunification, especially in light of recent discoveries and time running out, is the heart of both this protest and our overall activities." Several families affected by Yemenite Children Affair demand reparations from government for unresolved disappearances and alleged kidnappings of their children, in addition to the hardship is has caused them. A number of families are demanding reparations from the government for the Yemenite Children Affair—in which hundreds of babies and toddlers of Yemenite who have just recently immigrated to Israel disappeared between 1948 to 1954, in what some believe was a "major cover up" of their kidnappings. The demand was sent to the office of Finance Minister Moshe Kahlon earlier this month by Attorneys David and Chaya Mena representing several families whose relatives disappeared in the affair, demanding that 1,050 families affected by the affair be compensated. "Since what is done is irreversible, we are demanding that the government compensate these families," the letter said. "Compensation for the families is the minimum (that can be done—ed) to put an end to this affair." The attorneys then requested mutually agreed-upon specifications that will determine the amount of compensation for each family. "We want to prevent this case from going to court," explained Mena. "We ask that a committee be set up on the matter. The moment that Kahlon does not meet our demands, we will go to court. At the moment, a class action suit is pending. The families we represent will constitute case studies for more than 1,000 families who deserve compensation from the state." The lawyer made it clear that families who agree to receive compensation will relinquish their right to sue the state over the affair in the future, effectively putting it behind them. "You can't let this affair drag on to no end," Mena said. "The state behaved like the driver in a hit-and-run," claimed Menachem Yizhari, whose brother disappeared when Yizhari was six years old. His is one of the families that demand compensation for the public. "Our case had far-reaching consequences," he said. "My mother stopped functioning after they kidnapped my brother. As an eight-year-old boy, I found myself living in a shack in Rosh HaAyin on my own, cooking for myself and doing my own laundry. I went through hell until I joined the IDF. Someone has to pay for what we went through." Yizhari searched for his older brother for years. He used his access to police computers while he was volunteering in the Civil Guard and discovered that his brother's identity card exists but his name is encrypted. After some inquiries he finally discovered that his brother is alive, but did not live in Israel. "I thought I lived in a law abiding state, but not everyone is equal before the law," he said. "The state is very dear to me, but at the same time it is an open and painful wound." Yizhari added that, while deserved, the money will not mean the end of the affair and the silencing of the families. "There is no price to what we went through," he asserted, demanding that the files (on the affair) be opened and that the state "ensures that my brother, who is somewhere in the world, knows that he has a family here. To find these children before it's too late." Hanoch Oz, a member of the Rosh Ha'ayin Municipality Council, whose aunt disappeared when she was a baby, also demands compensation but does not forfeit recognition. "The more we become aware of more and more cases, including clinical trials on children, the more I believe that the state must pay for this injustice," said Oz. "Our grandmothers died of grief because of the loss of their children, it has no price.The state must pay but also allow the opening of all the secret files (on the affair)." Etty Ahimeir, whose sister disappeared in the 1950s, added: "Personally I do not need the money and I do not intend to use it for personal use. The payment of compensation has many implications, and if it is accepted, I can donate it to charity. The money will probably not heal our wounds." The Yemenite Children affair resurfaced once again in the public debate in May last year following the Achim Vekayamim organization’s stated intention to renew efforts to discover the truth behind one of the cases, which has caused a storm in Israel for decades. 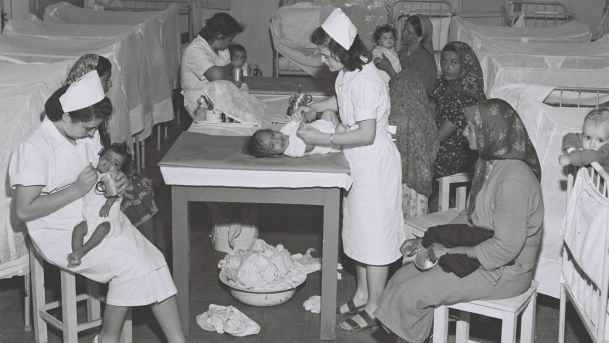 Most cases in the Yemenite Children Affair involved the parents being told in the hospital that their newborn children had died, although they never received additional reliable information about their fates. The parents claim that their children were actually kidnapped to be given or sold to Ashkenazi families. 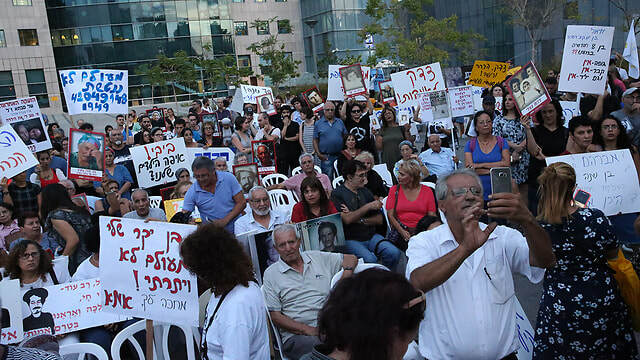 Protesters call on the State of Israel to acknowledge children of Yemenite immigrants were abducted from their families, demanding to open the archives in full so they could learn the fate of the missing children. Hundreds of people, including members of Knesset, attended a rally in Jerusalem on Wednesday evening ahead of the Awareness Day for the Kidnapped Children from Yemen, the Middle East, and the Balkan. The protesters, among them families of missing children and social activists, are demanding recognition and justice for the children and the families. They also demand the acquittal of Rabbi Uzi Meshulam, who was jailed after a standoff with police when he barricaded himself with his supporters at his home and demanded the establishment of an inquiry commission to investigate the case of the missing children. Protesters blocked traffic on King George Street, calling out "Where are the Yemenite children?" They were also carrying signs with the photos and names of the missing children. 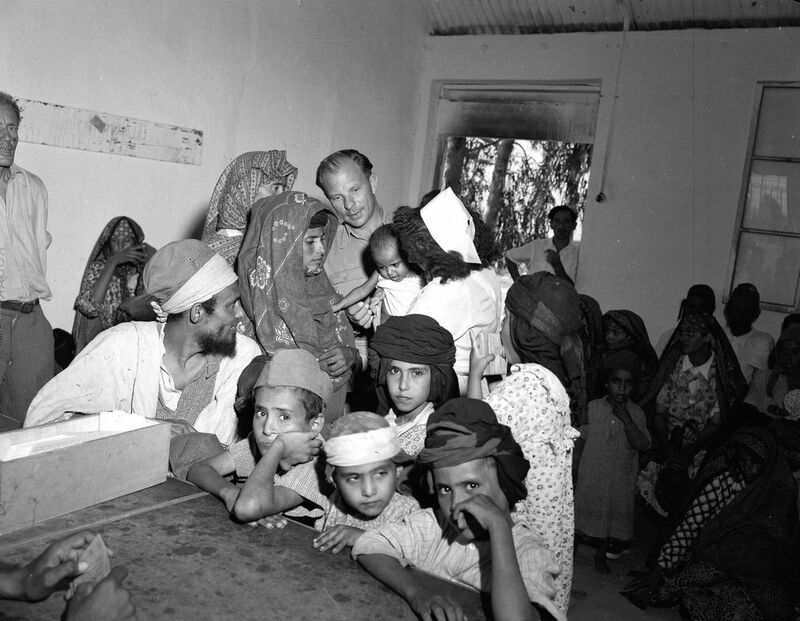 In December, the National Archive's website made available to the public some 3,500 case files including 210,000 documents dealing with the disappearance of the Yemenite children. The searchable documents provide information on thousands of children, including where they were buried and what their cause of death was. Sharon Arami, 31 from Ramat Gan, came to the rally with her brother. "I want to know where my aunts and uncles are," she said. "I'm a third generation to the holocaust of the Yemenite children. We're still looking for them to this very day." Seven children are missing from the Arami family. "My grandmother arrived (in Israel) in 1949. She had 13 children, seven of whom disappeared. The commission of inquiry determined they all passed away, and the absurd thing was they all received IDF draft orders," Sharon Arami said. "One of the girls, the commission found, passed away four times in four different places. It's time to recognize this and start opening up the archives to find out what happened to my aunts and uncles." Poet Shlomi Hatuka, who heads the Amram NGO dedicated to finding out what happened to the missing children, spoke at the rally. "We're here because for 70 years now, the State of Israel has been dismissing us," he said. "We're here because for 70 years, the State of Israel has been saying our grandfathers and grandmothers are liars. They silenced us with violence. Rabbi Uzi Meshulam paid with his life. We're here. As long as we're here, we won't be silent. The country won't be quiet." Likud MK Nava Boker, who pushed to open the archives to the public, spoke about her own experience. "My parents passed away without learning the fate of their child... I demand recognition of these kidnappings cases; they shouldn't be treated as adoption cases. There were criminal actions done," she said. Dr. Moshe Nahum, the president of the International Federation for Yemenite Jewry, presented his book about the disappearance of the Yemenite children. "In 1942, my three-months-old baby sister was kidnapped. We searched for her. My parents sat and cried. Every Friday they'd bake and lament the loss of the girl. I want the real files to be opened because all of the inquiry commissions lied," he accused. U.S. Jews believed children were orphans, that money would help new Jewish state, researcher says in 'Lost Children,' which claims WIZO played role in sending infants to U.S.
“What I was told is that these families had heard through the Jewish community that they could adopt orphans in Israel in exchange for money that would be used to help the new Jewish state get on its feet and purchase weapons,” she says in the film. “So they came and took these children they believed were orphans.